In July 2014 Dejan gave the world premiere of his own Piano Concerto in Istrian Style, op. 18 at the Aspen Music Festival in Aspen (CO), USA, with the Aspen Philharmonic Orchestra conducted by Robert Spano. 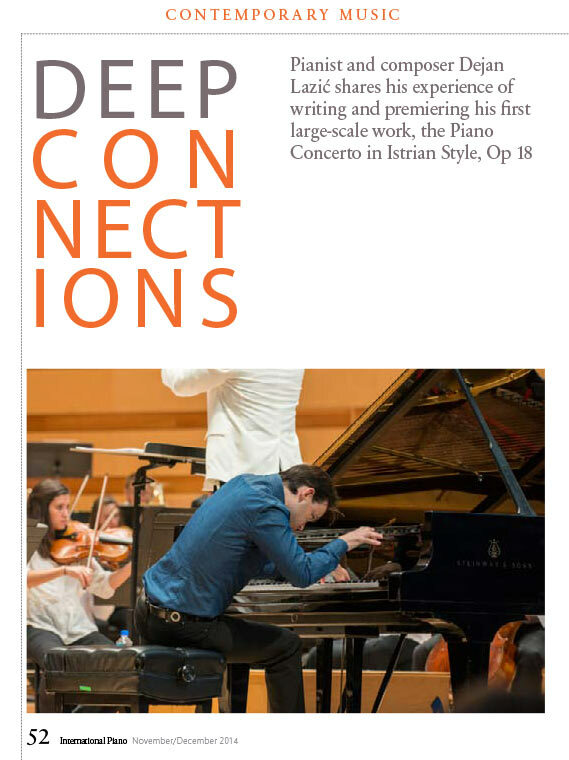 In the left column’s article, published in International Piano Magazine’s November/December 2014 issue, he shares his experience of writing and premiering his first large-scale work. Also this summer, Dejan gave the Polish Premiere of his piano and orchestra arrangement of Brahms’ beloved Violin Concerto at the Chopin Festival in Warsaw. And with the Chicago Symphony Orchestra conducted by Krzysztof Urbanski he performed Chopin’s Piano Concerto no. 2 at the Ravinia Festival, USA.